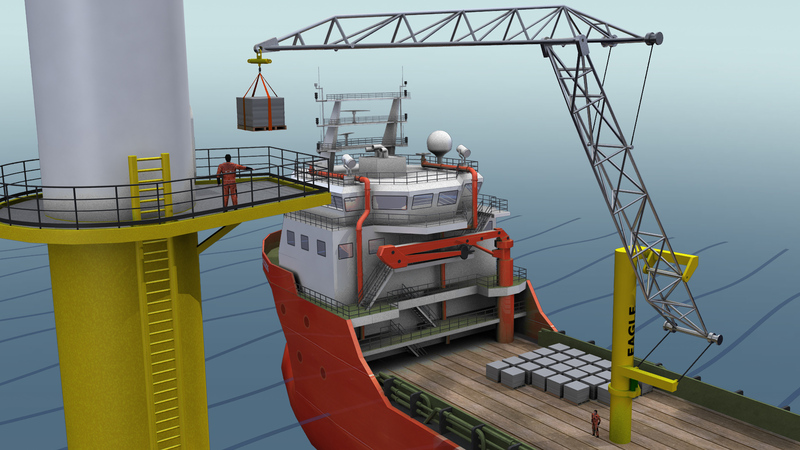 Based on 15 years of experience in the design, building and operation of offshore access systems EAGLE-ACCESS B.V. introduces the next generation system for offshore transfer from vessels to platforms. The EAGLE-ACCESS, a game changer. Solving the shortcomings of current ‘walk to work’ systems: too expensive, too heavy, too complex and unsuited for the essential task of cargo transfer to platforms. The EAGLE-ACCESS patented concept radically breaks away from the current ‘walk to work’ designs, offering quicker and safer transfer of either cargo or people. Outperforming all current systems in safety, economics, workability and capacity for both people and cargo. Without the need for costly changes to platforms. It is our mission to contribute to the reduction of the cost of access/transfer to offshore platforms of the Oil & Gas and Wind Industry, to increase safety and to reduce the environmental impact at the same time. By introducing and constantly improving EAGLE-ACCESS.